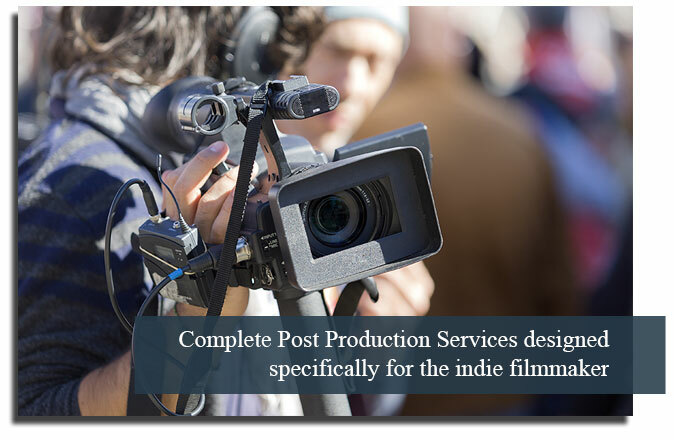 We are proud to provide professional, one-stop-shop postproduction services for film and video projects including independent features, pilots, pitch films, trailers, corporate videos, commercials and music videos. We have the experience and the know-how to not only cut your movie, but to finesse your movie into something that you can submit, screen, distribute, and be proud of. We love post. We can guide you through the entire process of "finishing" your movie. Today, the post process is more complex than ever. At the same time, the technology available today gives filmmakers incredible power to create stunning productions. The trick is in harnessing the technology. If you've finished shooting a film and are wondering what the next steps are, give us a call. 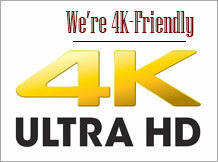 If you're like most and are confused by today's HD standards, output formats, display formats and resolutions, call us. We know it's not easy. That's why we offer a one-stop shop to post-produce and finish that project that you've spent so much of your hard-earned money and time on. We've been there. Decades of experience (purely in post-production), 3 Primetime Emmy Awards, 14 Emmy Nominations, and 5 Golden Reel awards should be clues enough that you and your project are in good hands at Post In The Woods. We've been in the trenches. We know the issues. Our expertise can guide you in those areas where you aren't quite as comfortable as you'd like to be. No one can know every aspect of filmmaking. We ask you to let us help you through the post process....so that you don't waste time or money. Dave is a veteran film editor with many credits in all genres including feature films, episodics, commercials, trailers, shorts, docs and sizzle reels. For features and episodics, your rate will be based on several factors. Please inquire for a custom quote. All rates include a 9 hour day, 5.5 days per week. Rate includes 5K-ready edit suite, dailies ingest and syncing. Rates are base rates only and can vary based on content and timeline. 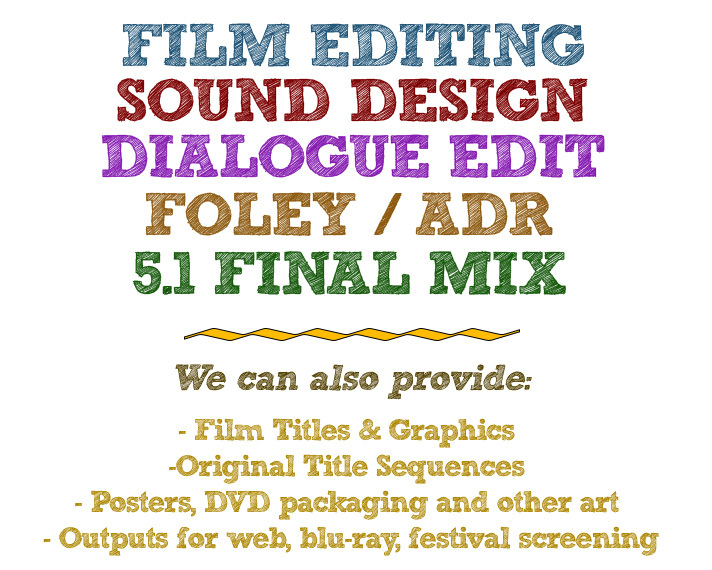 For maximum cost efficiency, ask about a film editing and audio-post package. Let Post in the Woods handle your entire post-production process from camera dailies to theatrical screening. Foley work is charged at $900 per 20 minutes of screentime. Note: This is a base rate and can vary based on content and timeframe. For maximum cost-efficiency on your next project, ask about a complete audio post package including foley! We have a world-class sound library with over a half million sound FX in every category, from every corner of the world. For sound FX editing and sound design, we prefer to quote a flat rate for your project. This rate will be established based on content and timeframe. Please arrange a screening for a quote. Dave is a veteran dialogue editor, with 3 Emmys, 11 Nominations and 5 Golden Reel Awards for his work in television and feature films. Proper dialogue editing is crucial to the success of your production! Note: These are base rates. They can vary based on content and timeframe. We have a small but amazing-sounding studio where we've done ADR and Voiceover for dozens of features, episodics, shorts, commercials and trailers. Save $$$ with a complete ADR package for your next feature or short! The final mix, when everything comes together. The quality of your mix can make or break your film. Remember to ask about a flat rate mix package for the most cost-effective solution on your next feature or short. We can save you thousands on your audio post by combining audio post services. Ask about our complete film finish packages.